Yin~Yang is an interactive audio-visual installation that examines balance and friction between two opposing forces, made in collaboration with Nathan Villicaña-Shaw. 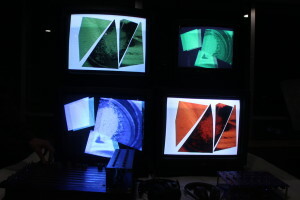 Four black CRT TV’s are stacked on top of each other. 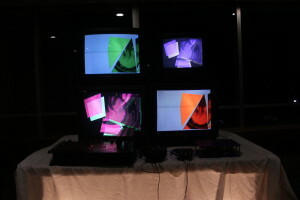 The TV’s display the output of two identical audio/video manipulation systems that have been given different source material. 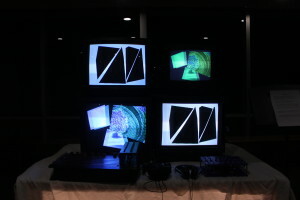 Two simple usb MIDI controllers are mounted on top of two black microphone stands and gallery viewers are invited to play with the controllers to manipulate the states of the audio/video systems. 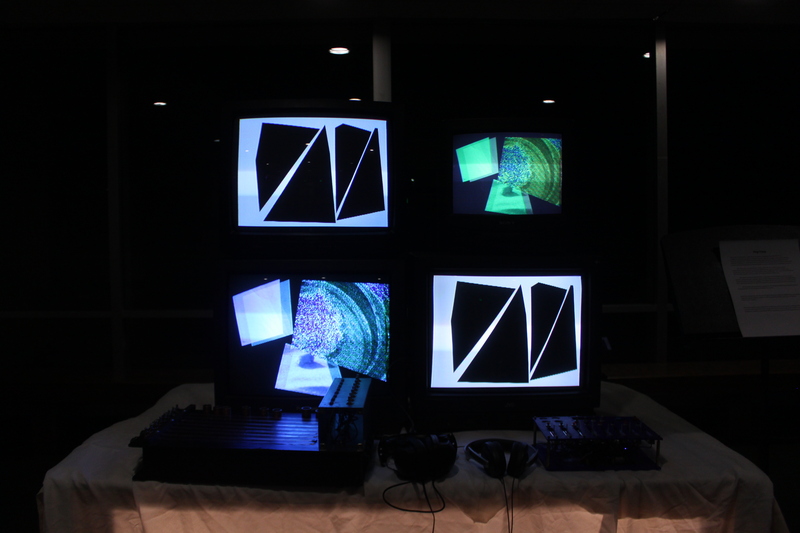 Each of the two MIDI controllers dictate the state of its own audio/video system (a Yin and Yang system). Two of the four TV’s in the gallery space are playing back the video and audio from the Yin, while the other two present the Yang. Also on the microphone stands holding the MIDI controllers, two headphones can be found. 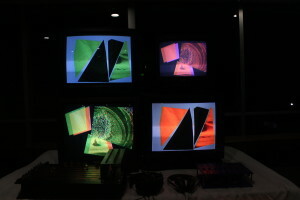 These allow the gallery participant to listen in on a “clarified” version of both the Yin and Yang systems as they enter a simulated state of Zen. Nature, the pure world untainted by human experience, provides the source material for the Yin system in the form of videos and field recordings of rivers, oceans, forests and deserts. The City, with both the urban and suburban jungle of human experience, provides the source material for the Yang system also in the form of videos and field recordings but this time of bus stops, train stations and city streets.